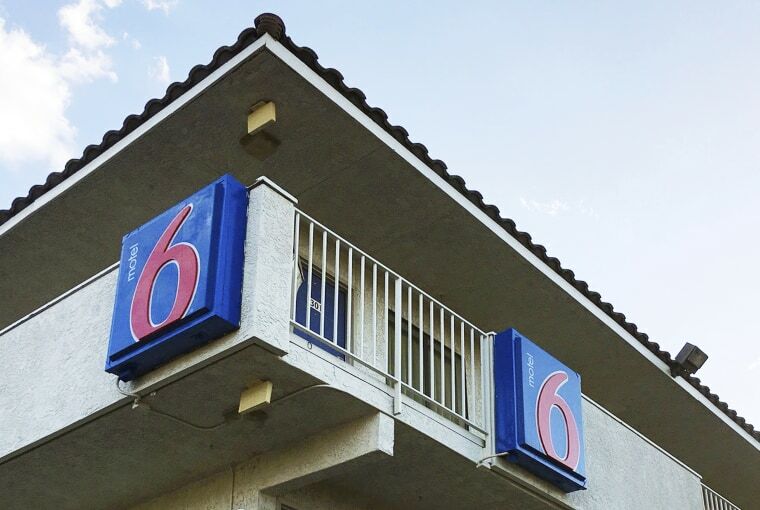 A Latino civil rights group is suing Motel 6 and its parent company for allegedly violating the rights of its guests in Arizona by disclosing personal information to U.S. immigration authorities, according to the lawsuit. The suit alleges that the hotel’s practice of giving Latino guests’ information to federal authorities without a warrant “violates federal and state civil rights laws barring discrimination based on national origin, and protections against unreasonable searches,” according to a statement from the Mexican American Legal Defense and Educational Fund (MALDEF). The suit, which also names hotel parent company G6 Hospitality LLC, was filed by MALDEF in U.S. District Court for the District of Arizona. The hotel company is accused of revealing the information — which included names and room numbers — to U.S. Immigration and Customs Enforcement at two Phoenix, Arizona, locations, according to MALDEF. The company also stands accused of violating state consumer fraud protections. The organization is pursuing class-action status for the lawsuit. The eight Latino plaintiffs in the lawsuit were detained last year after presenting official identification while checking into two Phoenix-area hotels, MALDEF said. Motel 6's corporate office said in a statement to NBC News on Tuesday that, “In September, Motel 6 issued a directive to every one of our more than 1,400 locations, making it clear that they are prohibited from voluntarily providing daily guests lists to Immigration and Customs Enforcement (ICE)." "While we cannot comment on specific pending litigation, we take this issue and the privacy of our guests very seriously," the statement said. Earlier this month, the Washington state attorney general also sued Motel 6, alleging that the chain disclosed the private information of thousands of its guests to immigration authorities. State Attorney General Bob Ferguson said motel employees had given out the names, birth dates, driver’s license numbers and room numbers of more than 9,000 guests to U.S. Immigration and Customs Enforcement agents without a warrant, according to The Associated Press. At least six people were detained or near the motel property during a two-year period. Ferguson’s office began investigation the hotel chain after reports that Motel 6 workers in Phoenix had been giving out guest information to immigration agents. At the time, Motel 6 said in a statement posted to social media: "This was implemented at the local level without the knowledge of senior management. When we became aware of it last week, it was discontinued."